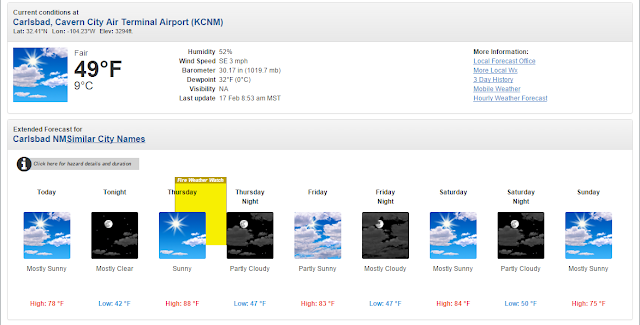 Temps Today & Thursday 15°F-25°F Above Normal. Forecast Temperature Anomalies Today @ 5 PM MST. 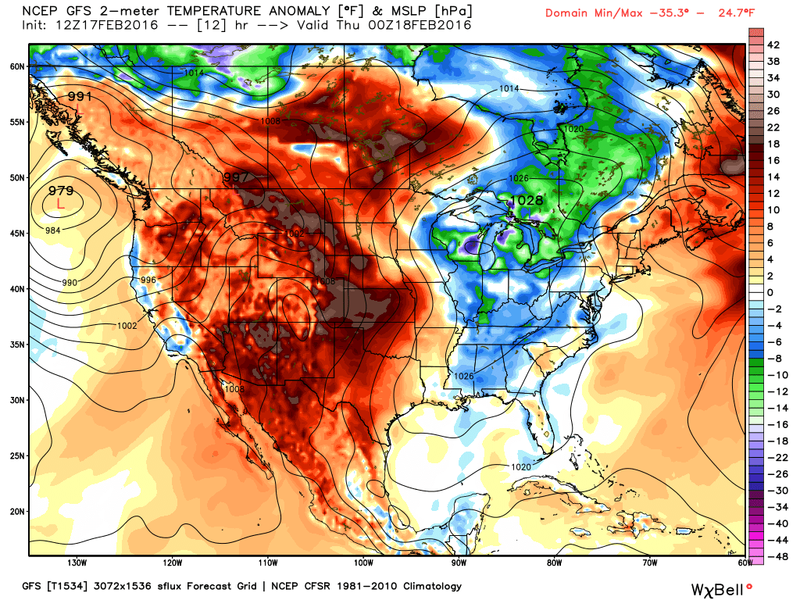 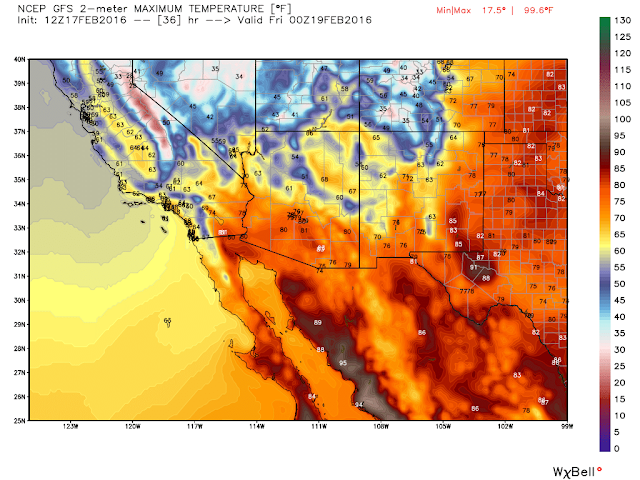 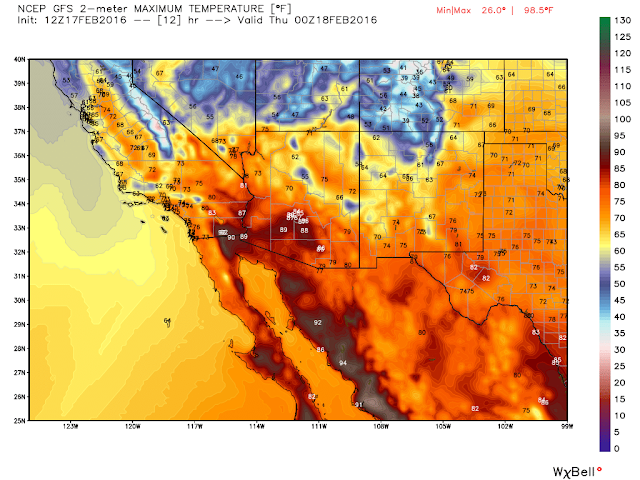 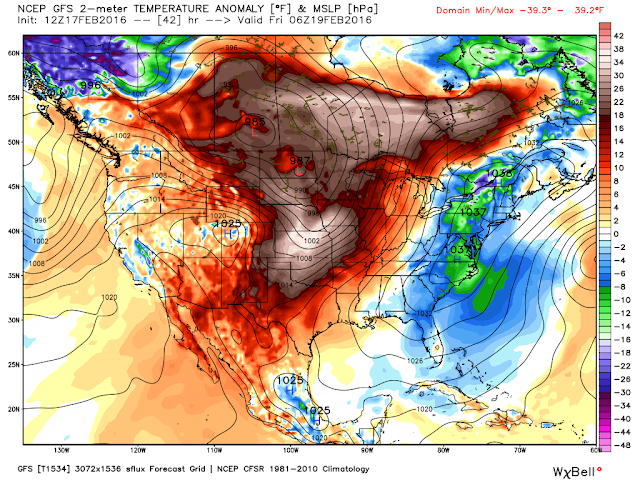 Forecast Temperature Anomalies Thursday @ 5 PM MST.. Hot, dry, and a bit on the windy side will characterize Thursday's weather across much of the area. 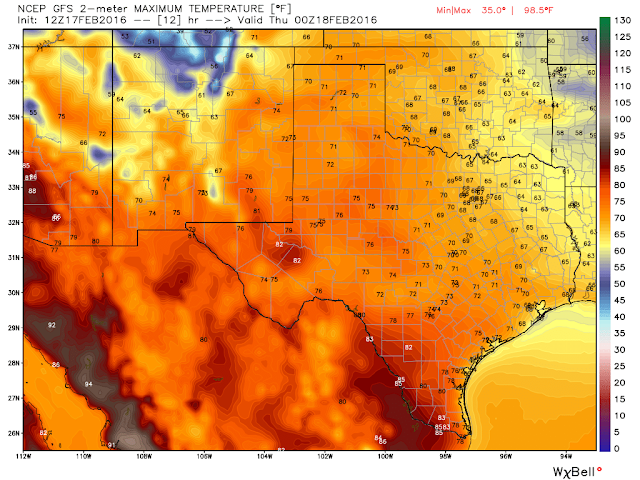 A few spots are going to flirt with the 90°F mark believe it or not. 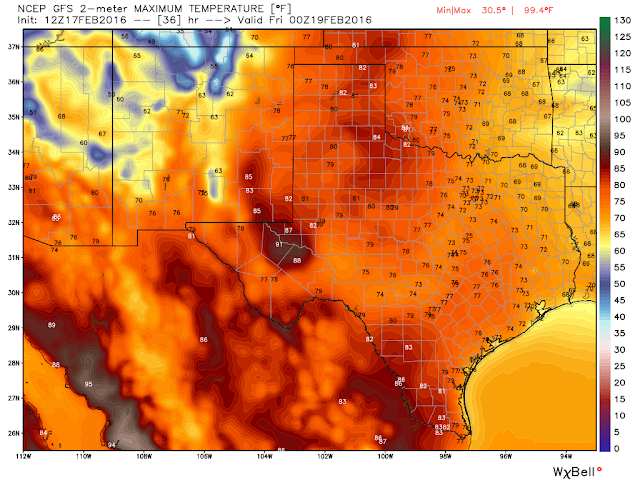 Today's will be abnormally warm as well with highs mostly in the mid-upper 70's. A Fire Weather Watch has been issued for southeastern New Mexico and nearby areas for Thursday.